When Bruce asked how I became passionate about helping sellers succeed with value selling, it brought me back to my days as an engineer (yes, I am a recovering engineer). I was an economic evaluator for a manufacturing plant, and I evaluated the financial impact of proposed projects in order to recommend or reject their approval. If the project didn’t have tangible value, it wasn’t approved. Eventually I left manufacturing and began consulting. Now on the other side of the table, I was struck by how much time I spent cost-justifying proposed services, and persuading prospective clients of their value. So when I later joined Bruce, it was a natural fit for me to lead the ROI Selling practice he had started. The rest is history. Bruce and I talked about my experience as a buyer and a seller. 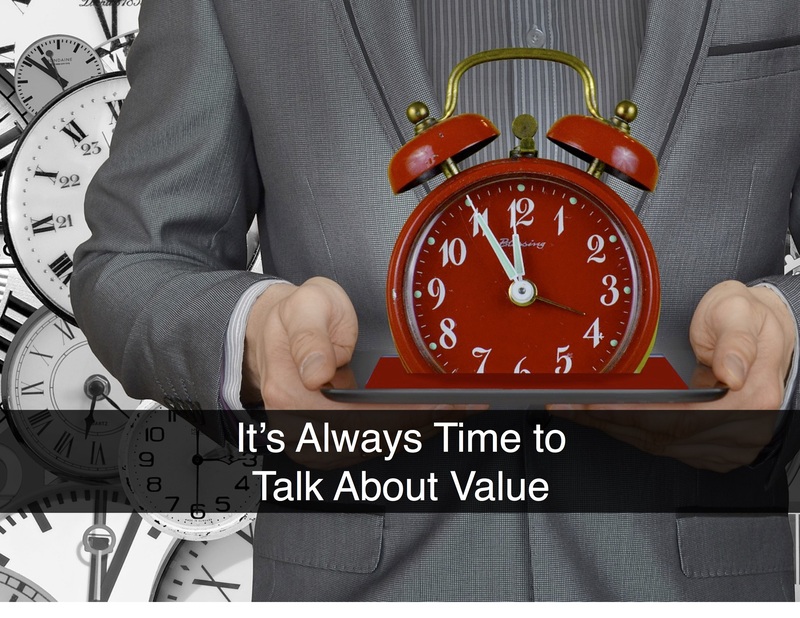 I know companies will perform a cost-justification on any significant investment, and I also know that having a business value discussion is critical to the sales conversation. If a seller isn’t actively involved in the buyer’s analysis, they are missing an opportunity to highlight the full value of their solution. Studies show that sellers are much more successful when they help to build an economic business case for their proposed solution. This distinguishes their offering from the competition but more importantly, it’s an effective way to save deals that are lost to the dreaded “no decision.” If you lose a deal to inaction, it’s because the project lacked the business case to justify the investment. So we wondered, why don’t sellers have value-based discussions with buyers? The biggest reasons are fear and discomfort working with numbers. Most sellers are masters at building and managing relationships, and have a strong understanding of the features and benefits of their offering. But financial calculations are typically not their strong suit, and so they shy away from those conversations. This doesn’t mean sales reps need to be financial experts. They just need proper sales tools to strengthen and focus their customer dialog around business value. So, what can sellers, and the teams that support the selling process, do about this? First, it is up to sellers to become “students of their customer.” By that I mean understanding their customers’ business as well as they understand their own offering. Sellers need to know how their customer makes money, and what problems exist within their business that they may be able to solve. When sellers understand the problem, they can begin determining how big the problem really is, and how it impacts the customer’s ability to improve their business performance. Sellers should not be left to do this on their own though. Marketing should provide resources to help sellers understand the business problems, as well as tools like value calculators and ROI tools, that help quantify the financial impact those problems have on the business. When you get down to it, there are only a few ways you can help a customer improve their financial performance: increase revenue (volume or price), decrease the cost to deliver their offering (labor, material, energy, etc. ), or decrease their overhead (or SG&A) expenses (engineering, R&D, marketing, sales, administration, etc.). To gain more value from this podcast, listen to it in its entirety, and for further insights from other business leaders, subscribe to the SalesConversation.com podcast series.